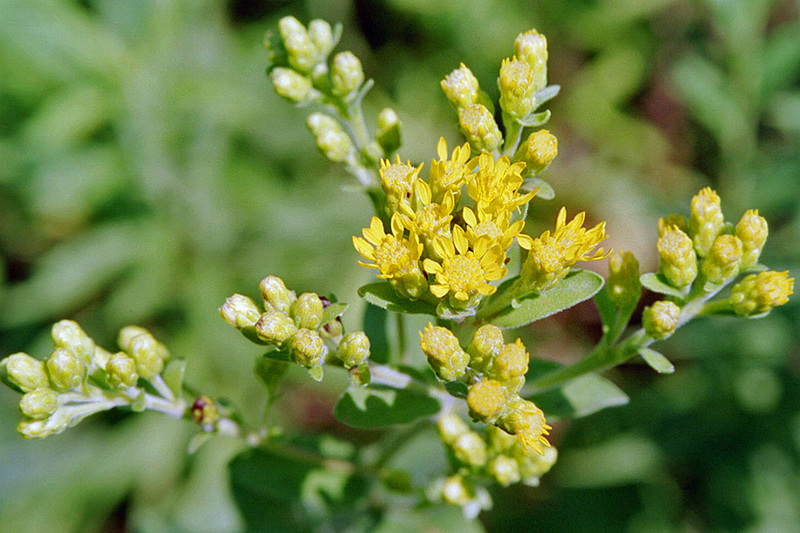 According to some sources, “Along with a few other goldenrod species, such as Riddell's Goldenrod and Ohio Goldenrod, Stiff Goldenrod has been recently reassigned from the Solidago genus to the Oligoneuron genus” (Illinois Wildflowers). 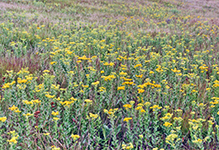 GRIN38 lists this plant as Oligoneuron rigidum. 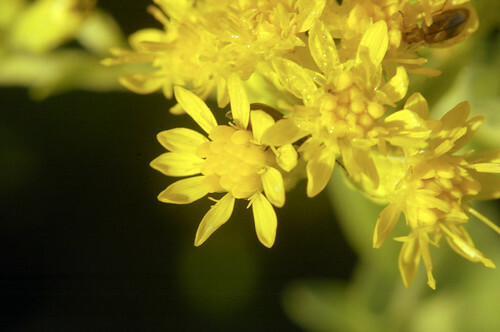 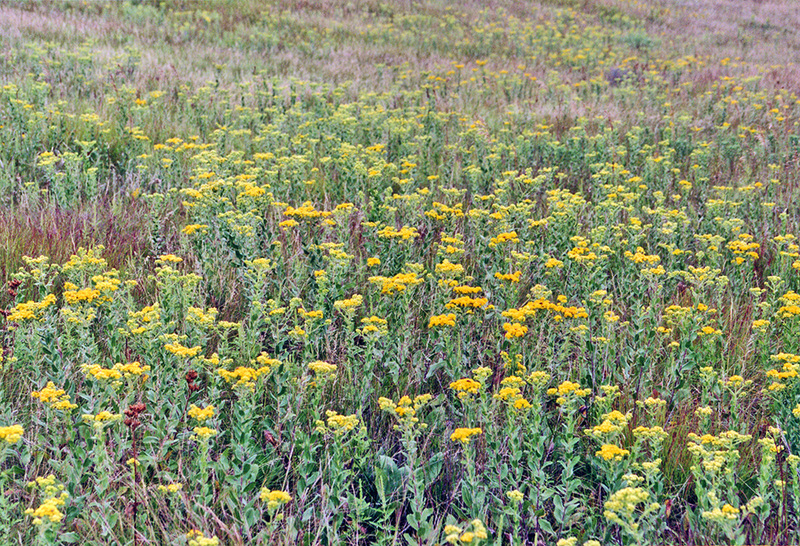 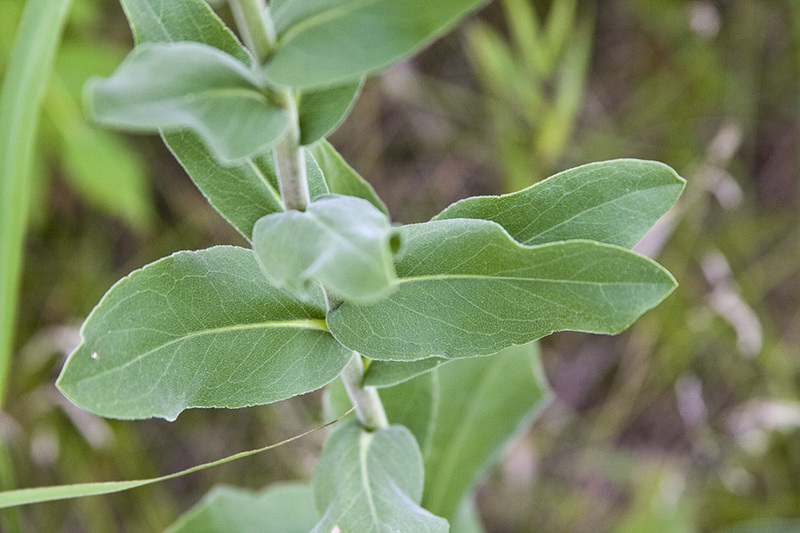 Most other sources, including UniProt33, NCBI34, ITIS, The Plant List36, and The Global Compositae Checklist39, list Oligoneuron rigidum as a synonym of Solidago rigida. 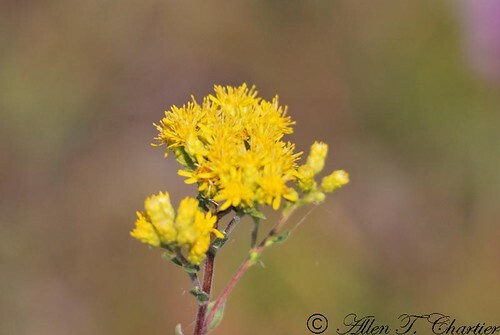 Stiff goldenrod, Solidago rigida, is a prairie wildflower with bright yellow flowers that are avidly visited by a variety of butterflies, including this monarch butterfly. 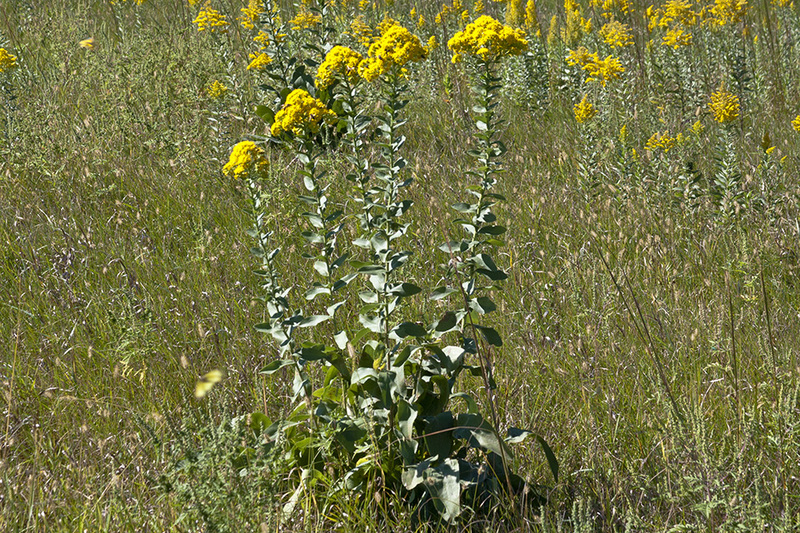 The location is the Larry R. Yoder Prairie on the Marion Campus of Ohio State University. 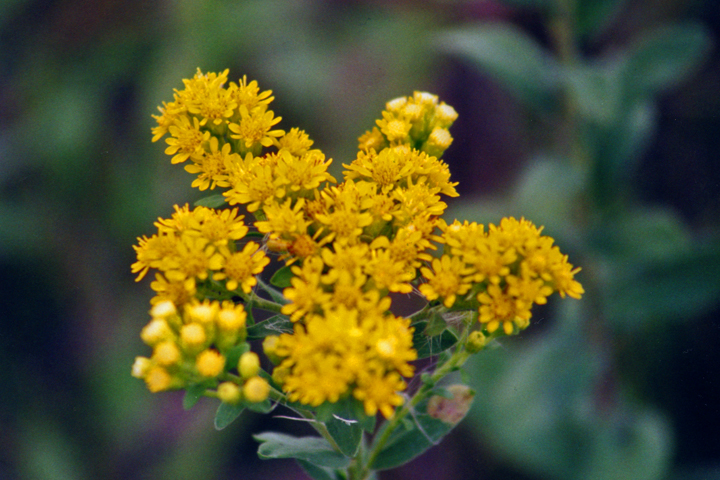 On a Labor Day weekend, migrating Monarchs and local Honeybees found nectar aplenty within the flowers of Solidago rigida (Rigid or Stiff Goldenrod).